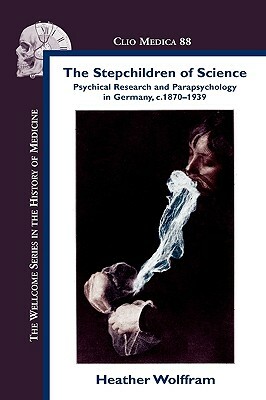 Another influence that distorts the history of parapsychology is the tendency of some parapsychologists to focus on the early research of the Society for Psychical Research (SPR), while work conducted elsewhere, in such places as Italy, France and Germany, is barely mentioned. The work of recent scholars has shown the richness of this sometimes forgotten literature. Too much of an emphasis on SPR material may blind us to the existence of different conceptual traditions, the following is an example. Partly because of the philosophical-psychological emphasis of the SPR, and because of suspicions of fraud, SPR researchers paid less attention to physical mediumship than other groups. 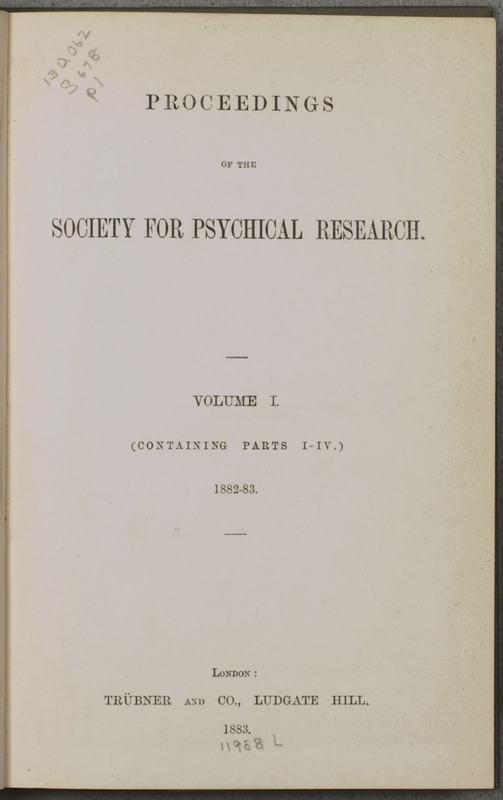 I made a comparison of articles about mental and physical mediumship published in the SPR Proceedings and in the French journal Revue Métapsychique for the period 1920-1930 that revealed that the SPR Proceedings had a higher proportion of papers about mental manifestations as compared to physical ones, while the French journal showed the opposite (Alvarado, Biondi & Kramer, 2006). Such trends alert us to the existence of specific interests or styles in psychical research that characterize the mentality of research groups or countries. Similarly, too much of an emphasis on men can lead to the neglect of the contributions of many women, a topic I have discussed before in another paper (Alvarado, 1989). It is common to mention such prominent women as Eleanor Sidgwick (1845-1936), Louisa E. Rhine (1891-1983) and Gertrude Schmeidler (1912-2009). But we neglect many others whose work was also very influential. Among them I may mention Lydia Allison (1880-1959), Juliette Bisson (1862-1956), Esther M. Bond (1913-1963), Laura Dale (1919-1983), Betty Humphrey (b. 1917), Fanny Moser (1872-1953), Helen Salter (1883-1959), Gerda Walther (1897-1977), Margaret Verrall (1859-1916), and Zoë Wassilko-Serecki (1897-1978). 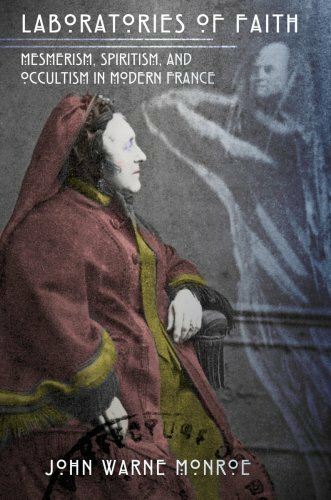 In my paper on women in parapsychology I argued that the issue is not merely one of saying that there have been women in parapsychology, but that their contributions need to be seen from their particular point of view. Because of women’s position in society they have frequently occupied positions of support and administration that are subordinate to those of men. Margaret Rossiter covered this extensively in her book Women Scientists in America (1982) as she reviewed women’s work in science. In turn, the importance of these supportive roles — particularly in eras in which no other role was available to women workers — are generally ignored by parapsychologists who write about the history of their field. It is important to take into account women’s lack of opportunities, like those of minorities in general, and the connection of such social limitations to difficulties in obtaining education or once having obtained an education at great difficulty, to being unable to find anything other than a support position. Parapsychology’s past is gendered. Men and women have enjoyed different opportunities and privileges both in their intellectual development and in the work they have been able to accomplish. Alvarado, C.S. (1989). 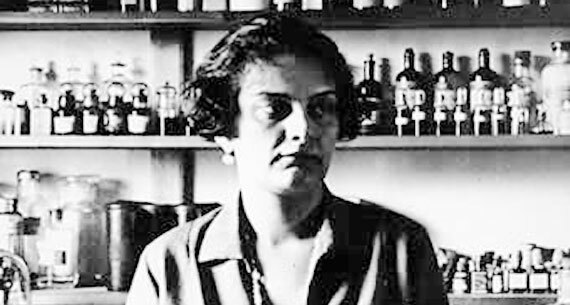 The history of women in parapsychology: A critique of past work and suggestions for further research. Journal of Parapsychology, 53, 233‑249. Alvarado, C.S., Biondi, M., & Kramer, W. (2006). Historical notes on psychic phenomena in specialised journals. European Journal of Parapsychology, 21, 58-87. *This is an excerpt from a previously published article: Distortions of the past. Journal of Scientific Exploration, 2012, 26, 147–168.